If you are familiar with Wolverhampton, you will have walked past the statue of Douglas Morris Harris in St Peter’s Gardens. This is his story. Douglas Harris was born in 1898 in Penn. His parents, Leopold and Mabel Harris, were originally from London, and had moved first to Coventry and then to Wolverhampton. 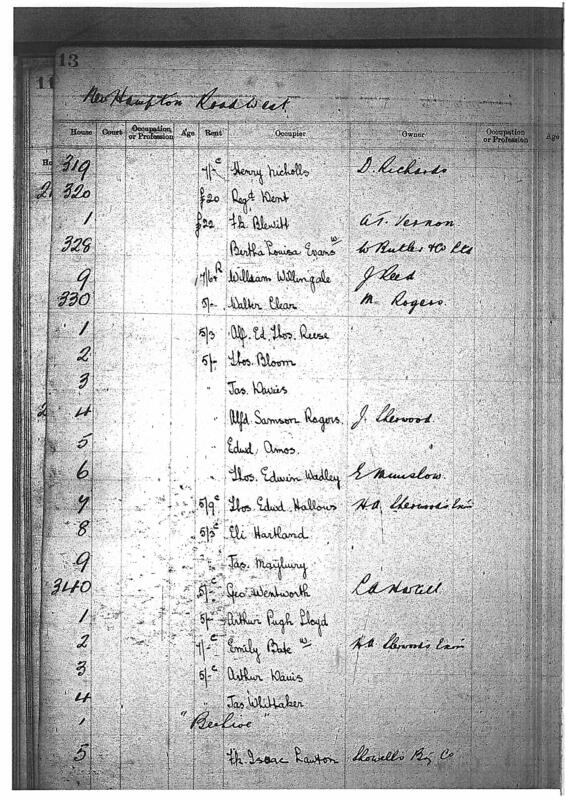 In the 1901 census, the family, including two daughters, two sons and a servant, were living at 49 Penn Road, but by the 1911 census their family had expanded to include two more daughters and an additional servant, and they had moved to 42 Lea Road. Harris joined the Navy, and was stationed on HMS Admirable, before moving to the Italian drifter Floandi as a wireless operator. On the night of 14th – 15th May 1917, the drifters came under heavy attack in the Adriatic from the Austrian Navy. Harris refused to leave his post in the midst of the battle, continuing to send messages calling for assistance, and was sadly killed in action. “the Memorial must be erected without entailing any expense upon the Corporation”), he also understood that “the Memorial might act as a stimulus to the Townspeople” to erect a “larger and more imposing” memorial after the War “to perpetuate the memory of all Wolverhampton men who sacrificed their lives in the War.” The Committee agreed to the memorial on that site. Son of Leo.E.and Mabel Harris,of Winsmore Lodge, St.Albans Rd Watford,Born at Penn, Wolverhampton. Grave/Memorial Reference: IV. F. 8. Further details of the incident leading to the death of Douglas Harris can be found in this Black Country Bugle article. In the course of this blog we have already uncovered the lives of a number of men who served their country during the First World War. But how can you research your own ancestors from the Great War? Use other sources such as school records, business records or archives of voluntary groups or societies to flesh out the details of your ancestors’ lives. There are also relevant First World War service, pension and other records available on Ancestry. Private Jesse Hill was one of the many who did not survive the war. Hill was a member of the 2nd Battalion South Wales Borderers, 13 Platoon, D Company. He was killed in action in France on 29 January 1917. At Wolverhampton Archives we have a collection of his letters, photographs, and memorial cards, gathered by his wife and deposited by a relative, so we are able to learn more about him. Hill lived with his wife Margaret and their two children, Harold and Jesse, at 13 Peel Street, Wolverhampton. In his “Soldier’s Small Book”, it states Hill’s trade was as a fitter, and his height was given as 5 feet 2 1/8th inches. Apart from details of his next of kin, the rest of the book has not been completed. As an aside, it will be noted from the memorial card above that there seems to be a discrepancy in Hill’s age, with his Sergeant believing him to be aged 32 when he died. The details in his Soldier’s book also conflict with this, as he is described as having enlisted on 10 December 1915, aged 28 years and 2 months, which would make him 29 when he died. The most likely birth entry for him on Freebmd is one registered in December 1887, so it seems probable that his Soldier’s book was correct. The Women’s Volunteer Reserve emerged from one of the suffragette movements, the Women’s Social and Political Union. 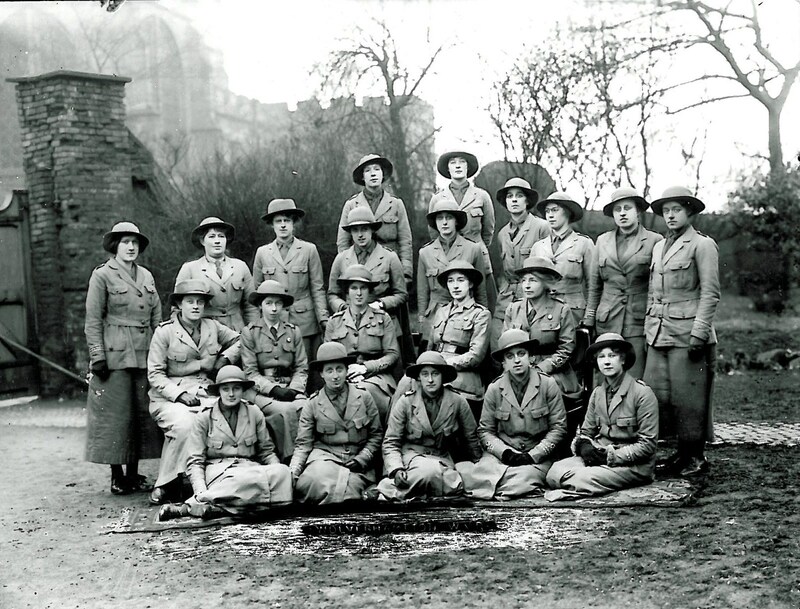 It was founded as The Women’s Emergency Corps in 1914 by Evelina Haverfield and Decima Moore to contribute to the war effort. 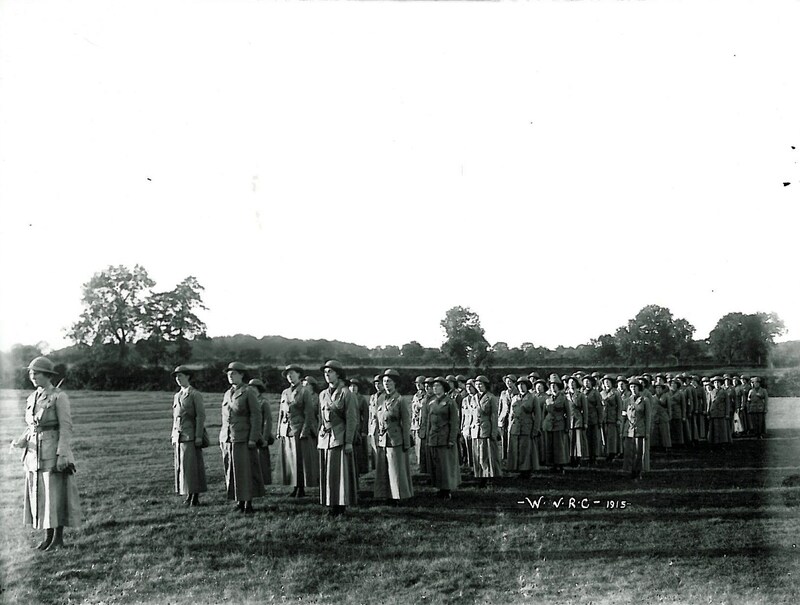 The Corps later evolved into the Women’s Volunteer Reserve. 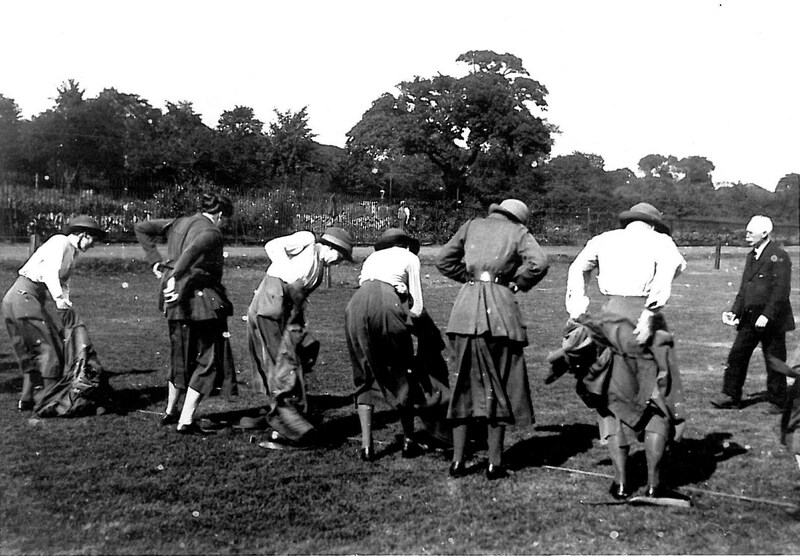 The WVR was mainly involved in domestic fund-raising activities, and was primarily made up of middle-class women, due to the fact that they had to pay for their own uniform. They also packed Christmas parcels for prisoners of war and for local Tommies in the firing line. The Imperial War Museum has a collection of clothing, badges and other items from the WVR. Following my post earlier this week on Albert Victor Hartland, one of our very capable Friends of the Archives and volunteers, Frank Lockley, has done some further research on Ancestry to find out a bit more about him. Although copies of his service records are available on Ancestry, some of them are in a poor condition so the information is not all legible. He enlisted into the army on 10 December 1915, giving his next of kin as his father, Eli Hartland. He was a member of the 2/5 South Staffordshire Regiment, and his regiment number was 202098. He was mobilised on 10 May 1916, which is when his medical and papers were “signed off” by the Depot Commanding Officer. On 25 February 1917 he was posted to France, transferring to 1/6 South Staffordshire Regiment on 25 January 1918. He was demobilised on 31 August 1919. His medical records give a bit more detail about the man himself. He is stated as being 18 years and 186 days old. He was 5ft 6 1/2 inches tall, and weighed 119 pounds. His occupation was given as “clerk”. Thank you very much for this research, and we are always keen to hear about more information about the people we feature on this blog, or about any Wolverhampton men or woman and their stories during the First World War. With some of the material we have in the archives, we know very little about the individuals concerned, so if anybody has further information we’d be delighted to hear it! 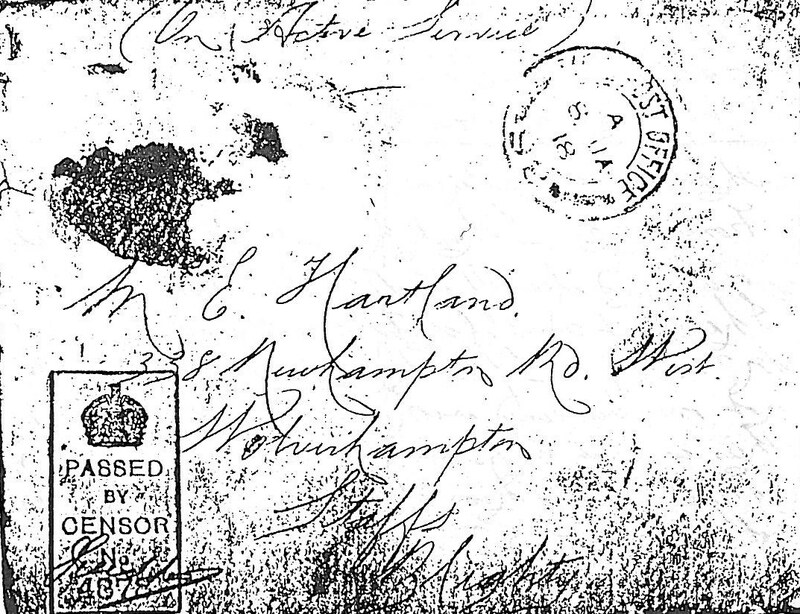 In amongst a collection of material relating to the celebration of the Wolverhampton Festival of Remembrance, there is a photocopy of a letter from an Albert Hartland to his family in Newhampton Road. Although he belongs to the 2/5th South Staffords, at the time of writing in 1918, he is attached to Signallers 176th Infantry Brigade, based in France. 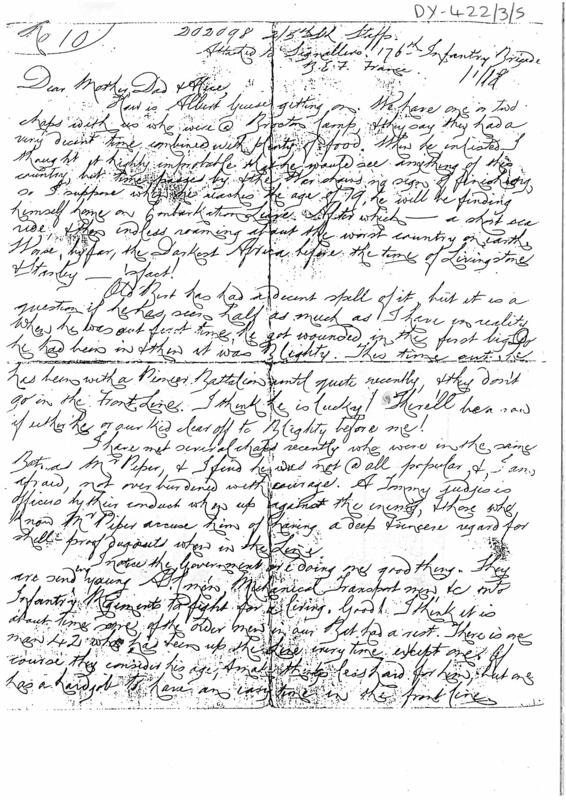 He tells his family about a mutual friend of theirs, a Mr Piper, talking of him in rather unflattering terms, stating that “those who know Mr Piper accuse him of having a deep + sincere regard for shell-proof dugouts when in the Line.” He also compares his lot with that of “Old Bert”, who has hardly seen any action at all. “When he was out first time, he got wounded in the first big Do he had been in + then it was Blighty”, and when he came back he appears to have joined a battalion that don’t go in the Front Line. Hartland’s medal card can also be found at The National Archives.